Robert Woodhead Ltd has joined forces with gardening experts, Echium World, to bring to life an exciting exhibit for the Royal Horticultural Show (RHS) at Chatsworth this June. Woodhead was approached by Linda and Ray Heywood who use the Woodhead-owned business centre, Edwinstowe House, as the base for their Echium show garden. They were looking for help to construct a volcanic ‘caldera’ structure to realise their vision for their entry in to next month’s RHS Chatsworth Show. The exciting project saw Echium World and Woodhead team up with schools, apprentices and a community craft group to bring the project to life. 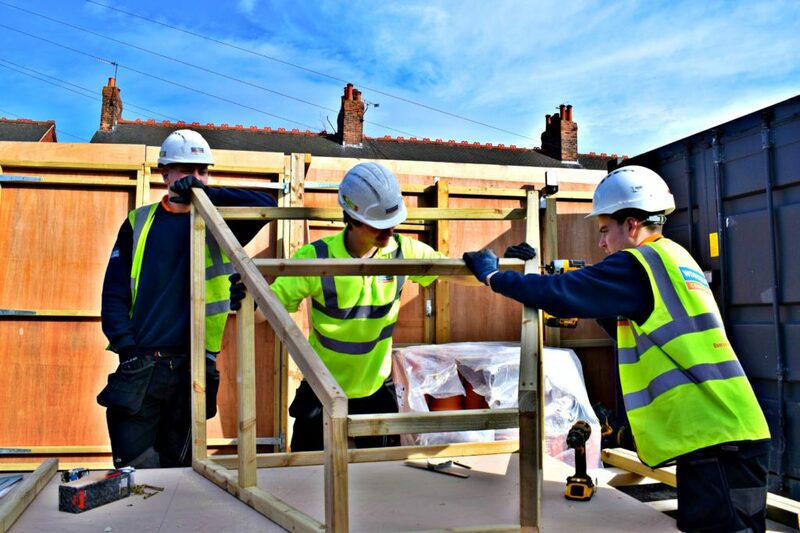 A team of Robert Woodhead Ltd apprentices working on the nearby New Bolsover Model Village project, took charge of building the structure, which creates the shape of the volcanic caldera. They’ve been supported by the pupils and staff at King Edwin Primary School in Edwinstowe, and the Heritage Crafts Group in New Bolsover, who have worked hard to design the side panels, which will form the outside of the volcano. Echium World will be displaying its ‘Echium Eruption’ exhibit at the RHS Chatsworth show in Derbyshire, from the 7th to 11th June, for the first time ever this year. To find out more, why not visit the show and go to see Linda and Ray, who will be exhibiting all week in the Floral Marquee.